When it comes to jewelry, you're always searching for standout pieces. 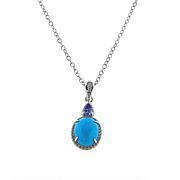 Good thing Paul Deasy delivers with this elegant and fresh take on gems. 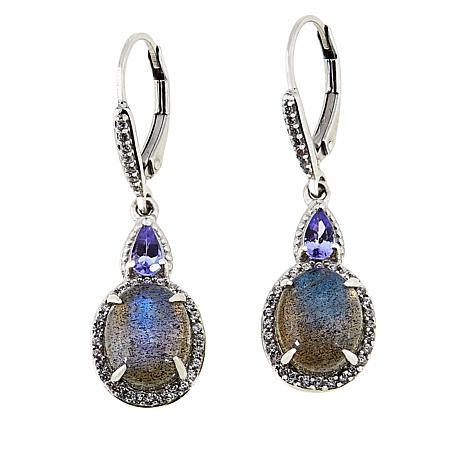 These earrings flaunt their best from end to end with alluring oval gems, dazzling purple tanzanite and sparkly zircons. They're eye-catching enough to get you noticed and radiant enough to be memorable. I purchased the ring in Opal & waited for these on wait list. They were worth the wait!The leverback is a nice sturdy finding. 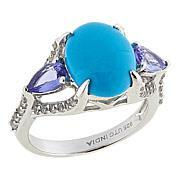 The Opal & tanzanite are both beautiful & of great quality. Im happy with these earrings & wear them frequently. I adore these! The turquoise looks like sleeping beauty (thanks for explaining the process used) & tanzanite stones are a nice size and deep color. 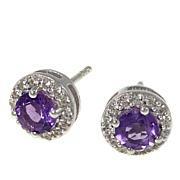 These are beautiful earrings with a nice presence on the ear yet light weight & comfortable. Please offer more tanzanite.